Let us show you the original beauty of Ras Mohammed and accompany us on a journey far away from civilization. 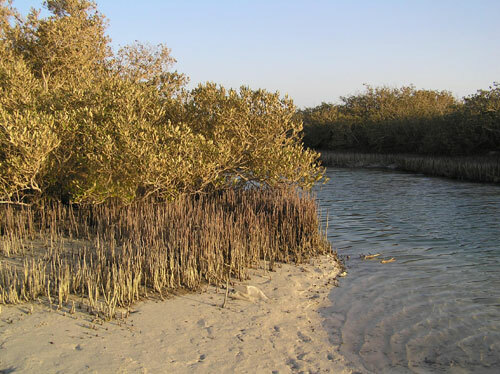 Enjoy the breathtaking landscape of the national park on land and under water - let Ras Mohammed touch your soul! Ras Mohammed, meaning „Mohammed's Head“ in English, is a national park located near Sharm el Sheik, a 120 kilometers away from Dahab. 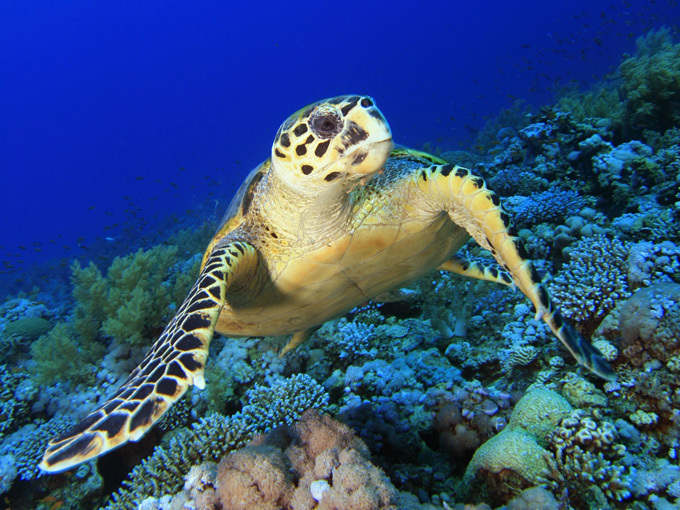 An unbelievably beautiful sea life will be waiting for you here - with dive sites such as Yolanda, Shark Observatory or Marsa Bareika that will definitely enchant you. But the landscape has also lots to offer as the desert meets the sea here. Although the land is dry, you will find over 80 plant species - amongst others even a big mangrove forest – as well as 220 different types of birds and 14 mammalian species. If you wish, we will be more than happy to organize trips to this national park for you! 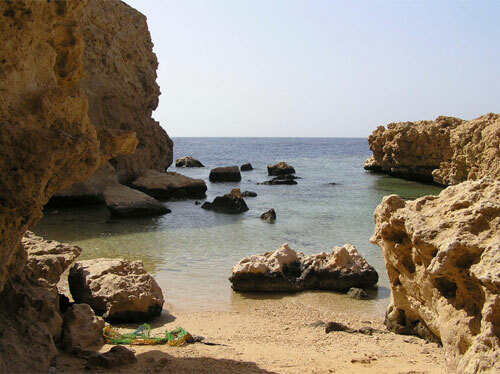 After a 1,5h drive we will be arriving at our destination: the Marsa Bareika. After quickly pitching our camp in this quiet bay – with a sleeping area, a provisional kitchen and some cozy resting places – we will go for our first dive. There's a lot to discover! A suitable spot for your initial dive is the beautiful steep face of Shark Observatory. Through a natural tunnel you will be entering the amazing underwater world of the national park. It is hard to find the right words to describe Ras Mohammed, as it really is second to none. On our first dive we will go down to a maximum depth of around 30 meters, therefore our second one will take place in Marsa Baraika directly, which is perfectly suited for a little, relaxed tour. You will be delighted by the beautiful coral garden and its occupants and feel just as if you were swimming through a huge fish tank! In the evening you will not only experience the breathtaking sun set but also enjoy the tasty food that will be prepared for you directly over the campfire. Even years later our regular guests still enthuse about the fine chicken soup served at Ras Mohammed! We will let the day end by unwinding together and lying down to sleep under the stars. The Milky Way will be shining brightly above us and there will be dozens of shooting stars giving you the possibility to send out your wishes to the universe. The next day will start early - as you probably want to be the first in the water, right? 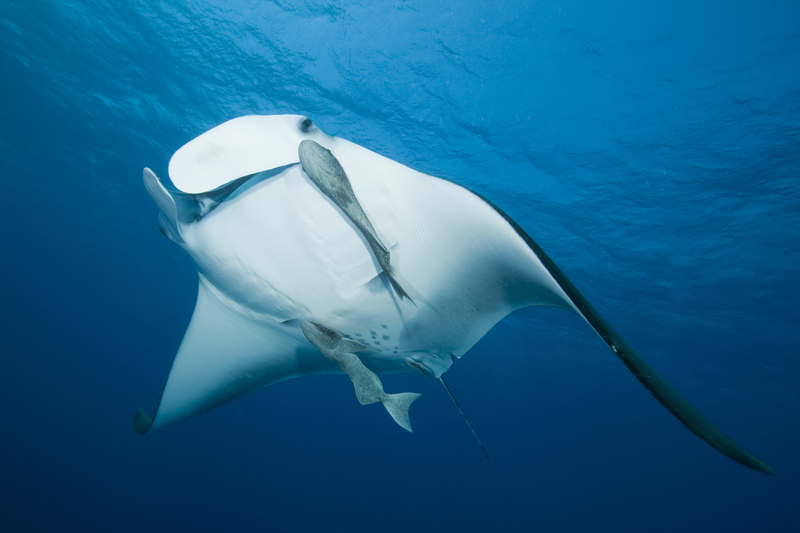 Our trip to Ras Mohammad will now be crowned by an early morning dive at Yolanda. The sea is just awaking, other dive boats have not yet dropped their anchors and so you can enjoy this spectacular dive, passing Anemone City and Shark Reef to get to the wreck of the Yolanda. The boat sunk in 1980 and dropped even further during a storm seven years later. Its cargo, nevertheless, has been strewn across the reef at around 18 meters depth and now toilets and bathtubs have become the home of many of the Red Sea's inhabitants. After this dive you have really earned your breakfast! Back in Marsa Baraika you and your dive guide will discuss the second dive of the day, after which we will return to Dahab. No problem at all: If you don't want to stay in the desert overnight or if there is not enough time left for a two day safari anymore, we can of course organize a single day trip for you, too. We will leave the Sunsplash Divers Hotel in the early morning in order to be ready for diving at Ras Mohammed by approximately 8 o'clock. 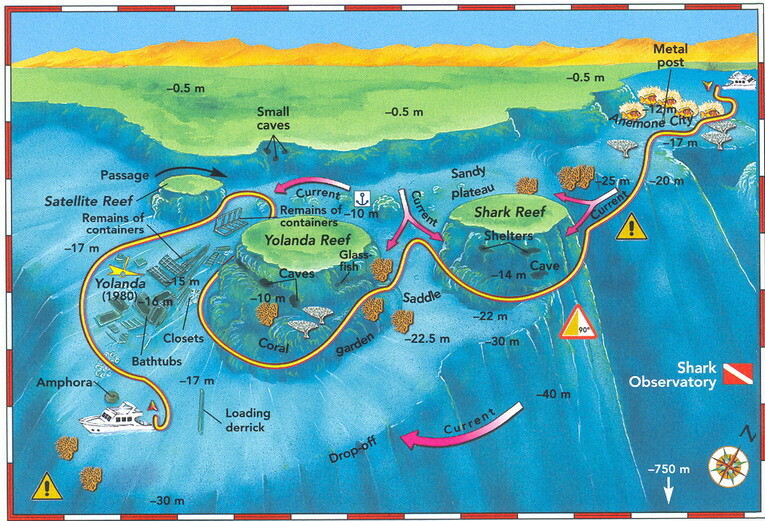 Our first dive will lead us to the Shark Observatory, followed shortly by a second one before lunch at the wreck of the Yolanda. Afterwards we will be awaiting you at our day camp at Marsa Baraika with a freshly prepared meal. Enjoy the local delicacies and gain the strength for your third dive of the day - as there is no way you can miss out on the amazing „fish tank“ at Marsa Baraika. This time we will start directly from our lunch table: Just cross the beach, jump straight into the sea and already our next adventure begins! On our return, we will be greeted with homemade cake and a steaming mug of coffee. And who knows, maybe after this trip you'll chose to visit again and then take our classic tour? Of course we can also organize a boat trip to Ras Mohammed for you! 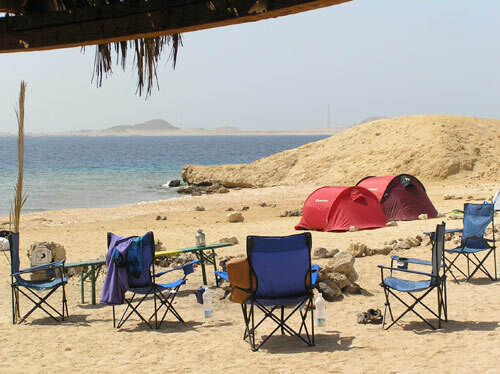 We go by car to the port of Sharm el Sheik where you will be boarding the safari boat. As we will be taking care of getting your equipment on board, there will be nothing left for you to do than to enjoy breakfast on the way to our first diving site. Let us know which spots you would like to visit. 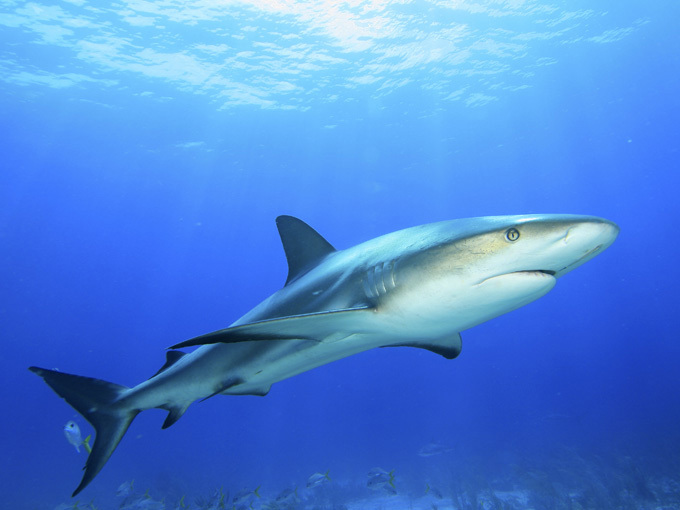 Shark Observatory, Yolanda, Ras Za'ater, Jackfish Alley, Eel Garden... There are lots of different possibilities which can be easily reached by boat. Usually we make three dives before heading home to Dahab by car again. If you would prefer to stay aboard for one or two nights, we can also organize that for you. 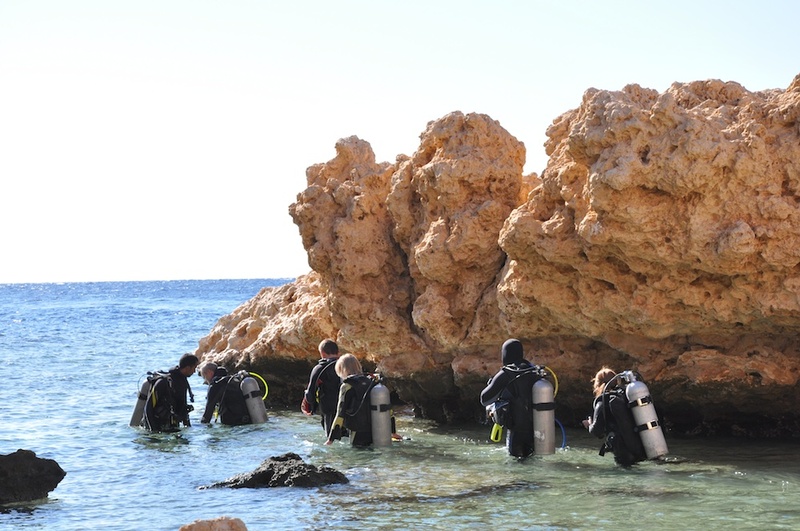 Furthermore, there is also the possibility of diving the Straits of Tiran or the world-famous wreck of the Thistlegorm (please click here for more information). Just ask us: We will do our best to make your wishes come true!